A Fine Jewelry store with heart & soul! At the corner of 4th & Main. Welcome. Ford-Mercury dealership with full service auto repair shop. We are committed to serving the financial needs of northeastern Colorado. Full service floral and gift shop. Bakery, Eatery, and Coffee Bar in Wray Colorado. We are your connection to the world! Explore the power of Fiber to the Home! We are a family owned business with 2 locations in Northeast Colorado. A non-profit exercise and restorative health facility. Hometown Building Headquarters for all your Building Needs! The Greater Prairie Chicken Tours were started in 1994 by a former officer of the Colorado Division of Wildlife. These tours were started to educate the public on these, at the time, endangered birds. The East Yuma County Historical Society was asked in the late 1990’s to take on arranging these tours to help raise funds for the Wray Museum. Then in the early 2000’s, the Wray Chamber of Commerce was asked to take over arranging the tours. Today, the Wray Chamber of Commerce and the East Yuma County Historical Society partner together to make these tours possible with the gracious help and knowledge of the Colorado Division of Wildlife and the Kitzmiller Grazing Association. 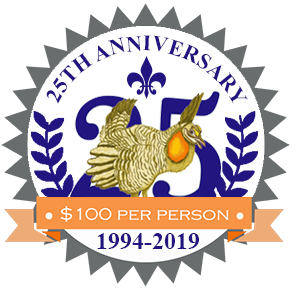 The Greater Prairie Chicken is no longer endangered, but these organizations would like to keep it that way…so we continue the tours to help keep the public educated on these amazing birds. We thank you for deciding to attend one of our tours to learn more about these birds which were once facing certain extinction. 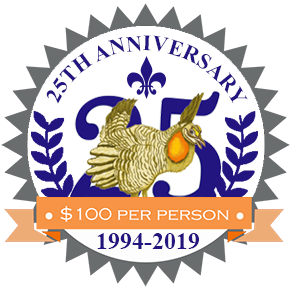 Whether you are a birder at heart, or becoming one, we know you will enjoy the tour and will leave with a greater appreciation of the Greater Prairie Chicken. If for any reason you are unable to reach the Chamber Office please contact the Wray Museum at 970-332-5063 for further assistance. Our Greater Prairie Chicken Tours are ADA Compliant! Book a Tour – 2020 Dates coming soon! Visit our FAQ’s for detailed information about the Tour requirements, refunds, tips and more. Our tours are Non-Refundable unless under special circumstances or “Act of God”. Subscribe to our Chamber Blasts! European Union visitors we are not yet GDPR compliant.